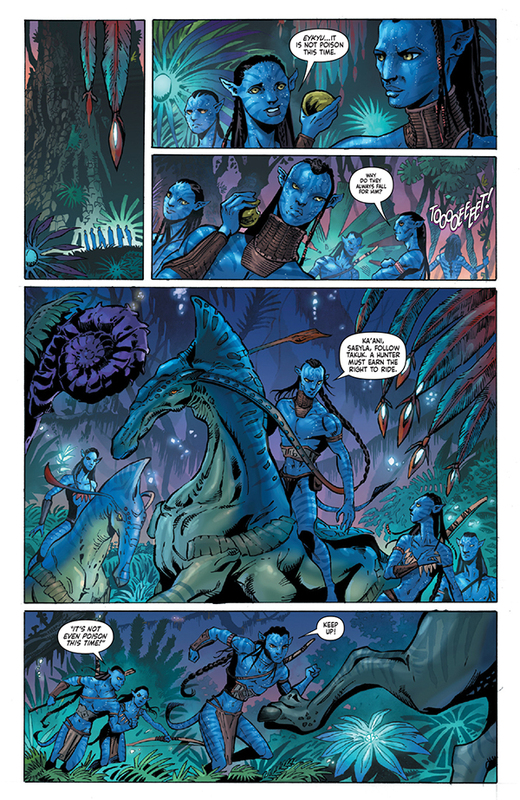 James Cameron’s Avatar is clearly a franchise that doesn’t need much of an introduction. Sure it has its detractors but you can’t knock its success with those financials, not to mention the fact it’s secured a number of sequels reportedly in production. Couple this with the success Dark Horse has had in translating other big movie titles into the comic format and we should be onto a winner right? Straight off we have a cover evoking the images and themes of the stoic hunter. That ecological harmony that wasn’t so much slipped into the movie but bludgeoned and hammered. 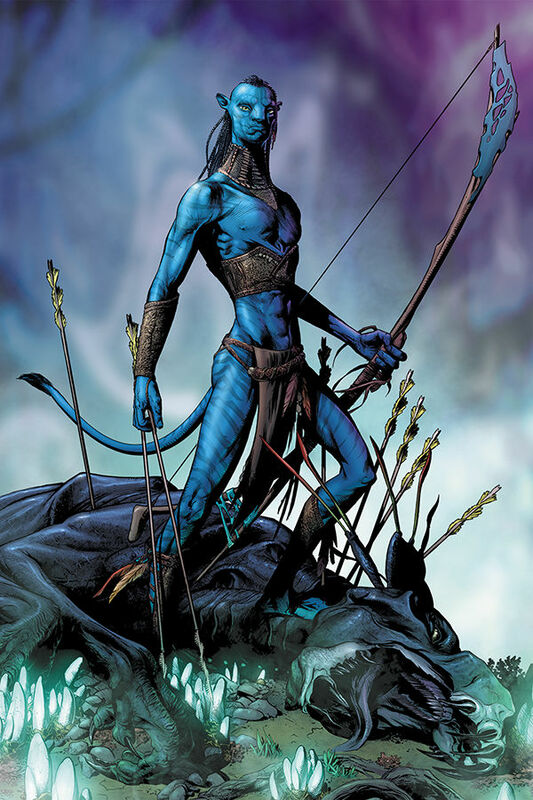 Still, it captures the alien physique and mind-set, pretty much selling itself and giving you all you need to know. 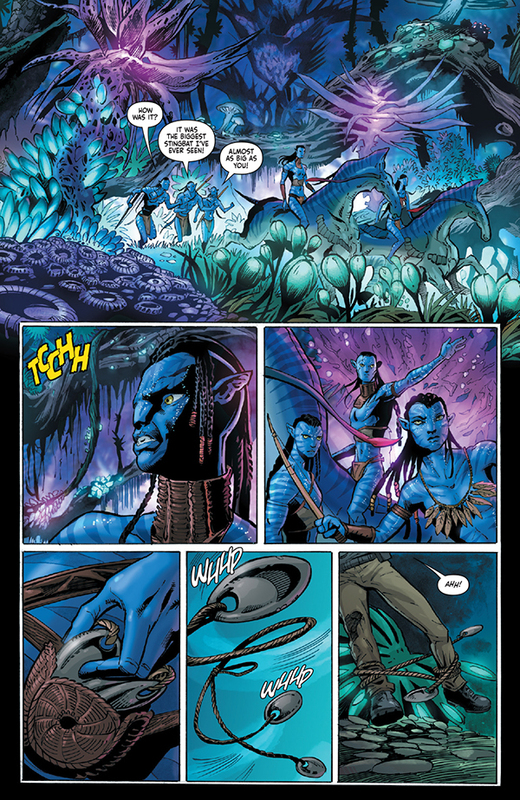 This is a comic about the Omaticaya warrior Tsu’tey and, for me at least, had an appeal to delve into the background and history of the Na’vi in a way that’s difficult even with such a grand scale movie, whilst giving a more empathetic look from Tsu’tey’s perspective. The internals are equally well presented. Capturing the likeness of an actor heavily made up with CGI and bringing that to life in a comic can’t be easy, let alone when it’s multiples. Unfortunately, I felt that what fails to be equally translated is the grand scale. The height of these aliens and the scope of the world around them feels more cramped and claustrophobic here, with the majority of the panels appearing to focus on expression and communication between a limited number of players. Even the splashes, which are technically very good, don’t elicit the same awe despite the majesty and grace displayed in the action. On top of this, it’s all a bit too blue. 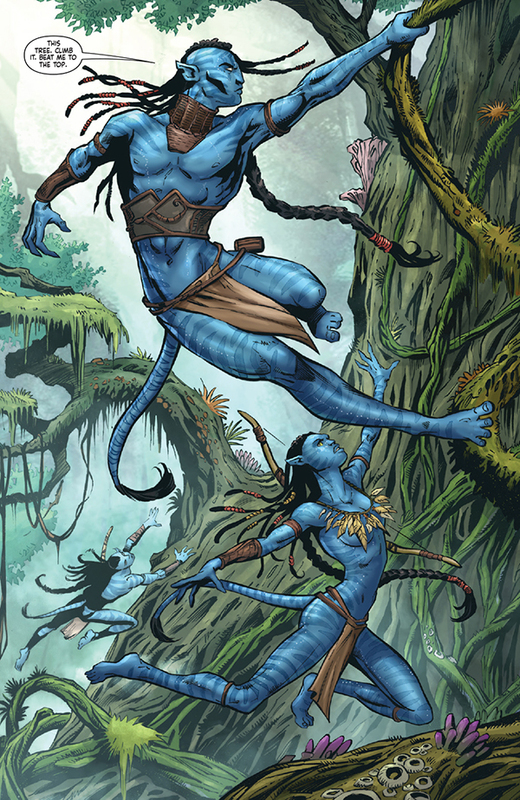 I guess that’s hard to avoid when the team is writing about giant blue aliens that only wear loincloths though. So what about the meat of the story? Despite the inherent appeal this ultimately failed to draw me in. It’s clearly not a story intended for anyone who hasn’t seen the film as there’s no context other than that which you bring with you. The writing delivers the same overall feel as the movie but there wasn’t really anything new here. 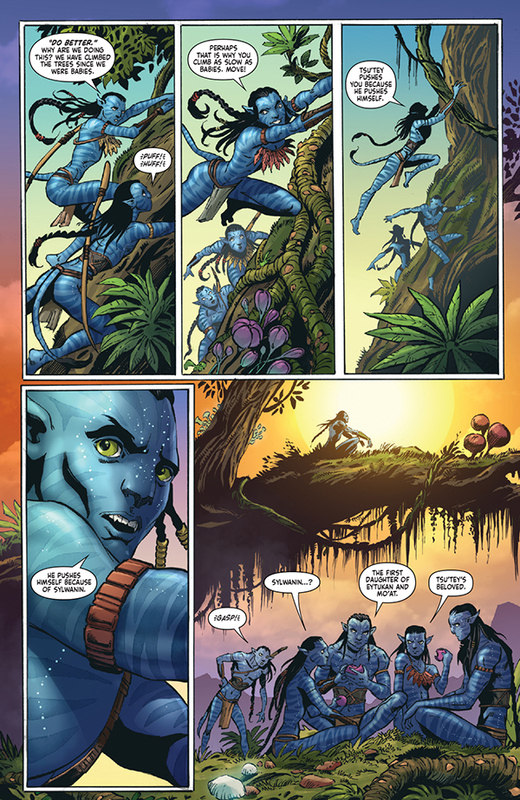 Rather than showcase how Tsu’tey got to where he is, both physically and mentally, we only really linger on more of the same. I still believe that this series will deliver an entertaining and fulfilling read, just that it’s perhaps off to a bit of a shaky start.